It’s about time we see another skiff company! 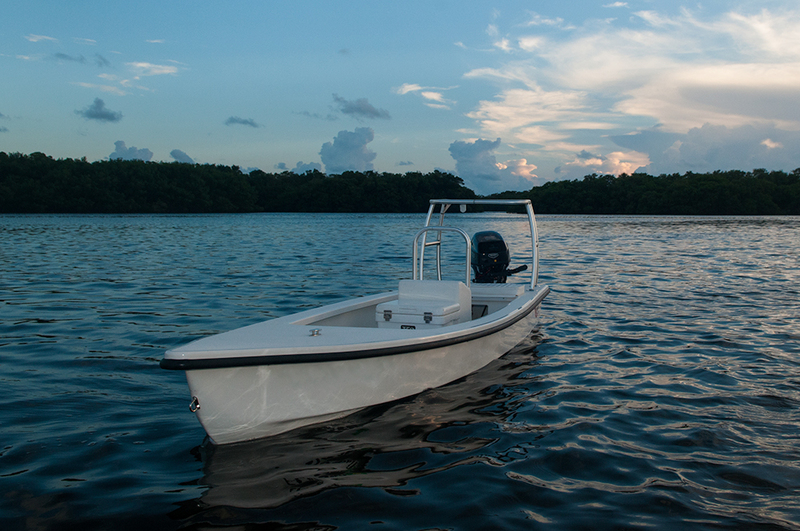 It’s been a few months since we’ve heard anything new in the shallow water skiff market. 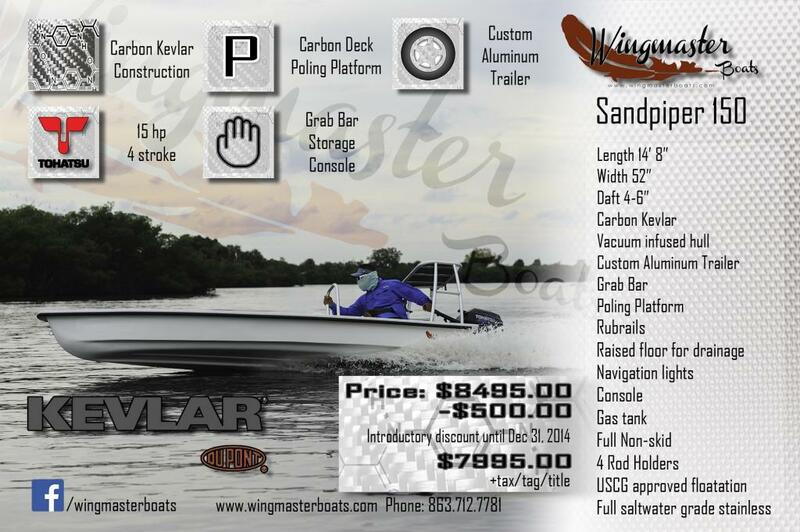 Wingmaster Boats has hit the market with a Fin & Feather-esque skiff that is promising to be the ultimate skinny water fishing boat. Quite a mouth full, but lots of features for a skiff like this. I could see this being a really nice 1-2 person skiff to replace the Gladesman that East Cape is no longer producing. We’ll be hearing more about these boats hopefully as the months go by and people place orders for them.